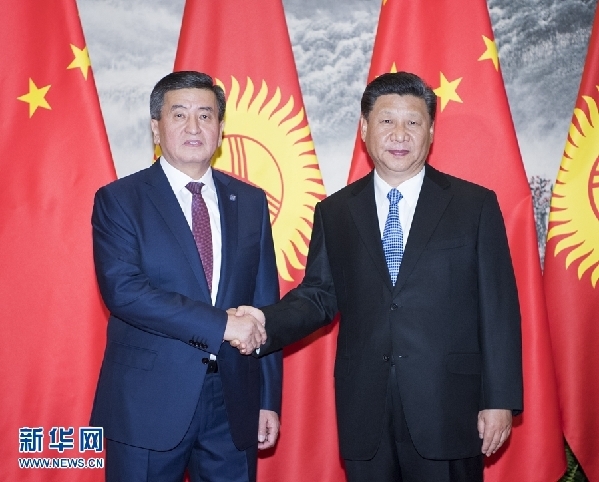 Jeenbekov, who is in China on a state visit and to attend the SCO Qingdao Summit scheduled to be held this weekend, said Kyrgyzstan admires China's social and economic achievements and appreciates China's long-term valuable assistance. The establishment of a comprehensive strategic partnership unveils a new chapter in the bilateral relationship, he said. Kyrgyzstan backs the China-proposed Belt and Road Initiative and believes the initiative will greatly promote common development in the region, said the Kyrgyz president, adding that Kyrgyzstan will maintain the continuity of all cooperative agreements with China. Jeenbekov said his country is confident that the SCO Qingdao Summit will be a success under the leadership of China.